SUBMIT YOUR Official Entry HERE! CSUSB students, faculty, staff and alumni - Do you have a cutting edge idea that will help change our campus, our community, or quite possibly the world? 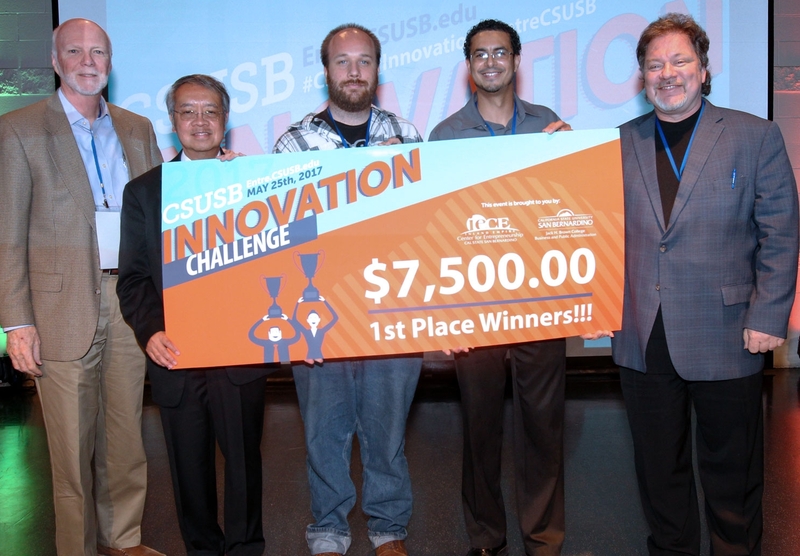 The Annual CSUSB Innovation Challenge competition gives everyone at CSUSB the opportunity to team up, sharpen new ideas, and solve problems. 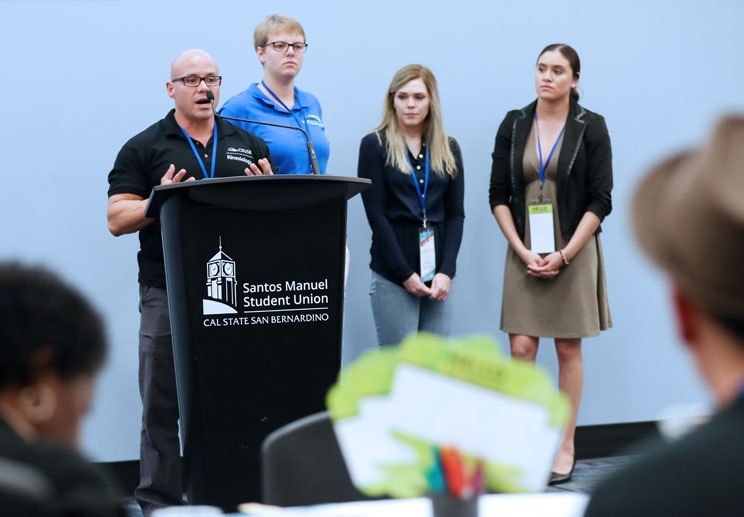 The Event features 2 Open Pitch nights to present your idea, network, and form a team comprised of ANYONE from the CSUSB community, and compete for $20,000 in cash prizes at the main event. START BUILDING your team and your plan of attack! Get your INTENT TO COMPETE entry submitted and form a dream team! SECURE YOUR TICKETS TO THE MAIN EVENT! 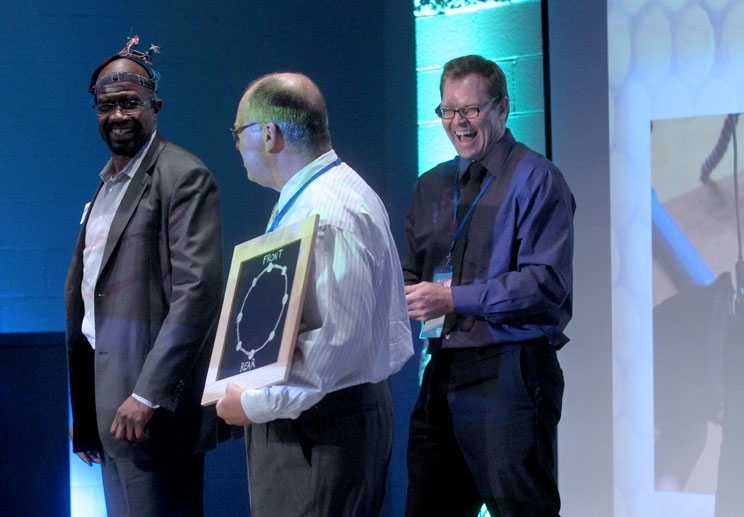 SUBMIT YOUR INTENT TO COMPETE for the 2019 Innovation Challenge RIGHT HERE! - DUE April 30th. The chosen teams that will be invited to compete in the main event line-up will be notified by May 6th! From there our Entrepreneur in Residence, Steve Abbott will be in contact with your team to get you prepped and ready for the challenge! Each competing team must have a CSUSB student as a qualified team member AND a minimum of TWO different colleges and/ or divisions retained, from there your teammates can include any student, faculty, staff and alumni of CSUSB in order to be eligible. If you need assistance in finding team members please reach out to us directly as we will help you build your team. YOU DO NOT HAVE TO HAVE YOUR TEAM MEMBERS SECURED BEFORE YOU SUBMIT YOUR INTENT TO COMPETE OFFICIAL ENTRY! 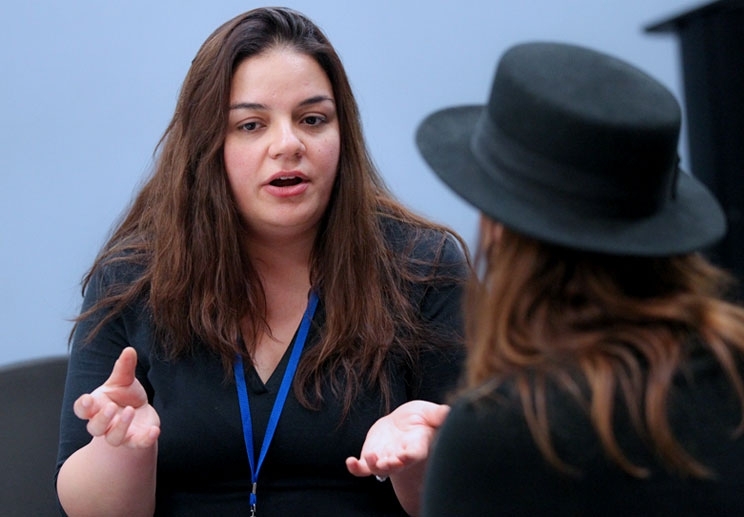 REGISTER HERE FOR NETWORKING & TEAM-BUILDING Attend one or both Open Pitch nights to learn more and start networking. You will have the chance to pitch your idea, shop ideas to build teams around, and meet others who are interested in forming a team. From there start building your team and your plan of attack! FREE food & refreshments provided. REGISTER HERE TO INCREASE YOUR CHANCES OF FINDING A TEAM to join for the Innovation Challenge Main Event. As the final team leading ideas are chosen by May 4th, not all idea-generators have yet secured their required team members! So if you still want to find a team to join register with us so we can help make the connection. PLEASE NOTE - By registering does not guarantee you will secure a team position for entry to the 2018 Innovation Challenge. Fill out Your Official Entry HERE & SUBMIT ONLINE! Fill out the online form & submit your official entry. You can submit your entry even if your team isn’t completely established just yet. Don’t wait till the last minute! If you do not have an idea to submit for the Innovation Challenge and are looking for a team to join then register here! Network on Our Innovation Challenge Facebook Forum! Embrace the Coyote Spirit of Innovation! Witness the collective genius of the CSUSB community delivering emerging ideas to WIN BIG!!! GET YOUR TICKETS HERE to ATTEND the MAIN EVENT! The Challenge is ON CSUSB! Embrace the Coyote Spirit of Innovation! Harness your collective genius & deliver your emerging ideas to WIN BIG!!! Students, staff, faculty and alumni joined us for Open Pitch Nights to pitch their ideas and recruit team members. Many joined to network and shop pitch ideas to find a team to join. Everyone had a great time coming together and learning about all that the competition is striving to achieve – uniting different schools of thought to create a synergistic eco system of innovative thinking throughout CSUSB! Register for Open Pitch Join us for the Open Pitch for some FREE food and more information on teaming up to WIN BIG! Students, staff and faculty had the chance to network with one another while engaging to form teams, shop ideas, and meet new faces all while enjoying some complimentary hors d'oeuvres and refreshments. We are here to help! 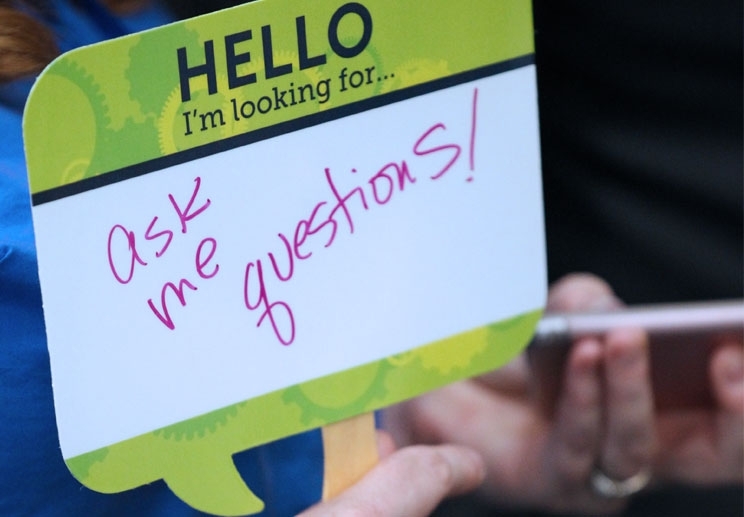 Some people came to last year's Open Pitch to learn more, shop ideas, and present their own. For many this was the first connection-making opportunity – even for some of the final competing team members! 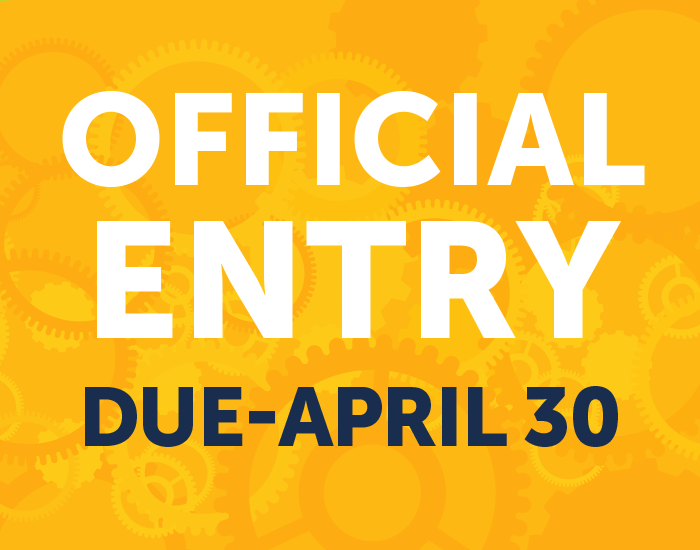 We encourage you to SUBMIT your Intent to Compete Idea by APRIL 30th, even if you do not yet have a proper team formulated. Join our Facebook group to start making connections now! President Morales opened the inaugural Innovation Challenge Main Event on May 21, 2017! 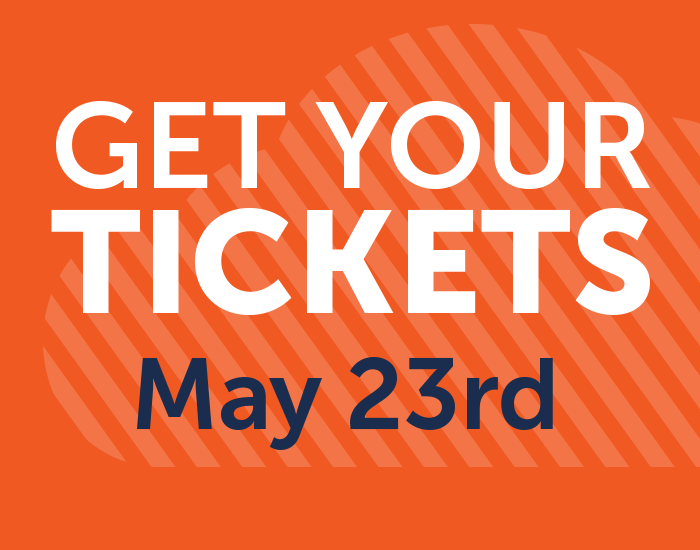 Get Your Tickets Come and Watch CSUSB teams compete to win big this year on May 23rd! Each team chosen to compete will receive access to presentation coaching and mentoring directly with our Entrepreneur in Residence, Steve Abbott. Professor Abbott has prepped many competitors for team challenges on campus, in front of serious investors, as well as out-of-state pitch competitions. The 2017 Winners took the big check! This year the winning total has increase to $20,000 in CA$H PRIZES! The 1st place team has invested their prize earning into the further development of their CaseAid app and is now in beta testing to improve government social workflow!